Bounce into spring with Readly - Your favourite health & fitness magazines all in one app. Looking for a wellbeing boost this Spring? It’s the perfect time to get in shape and feel great inside and out. Whether you’re in need of a little pick me up or kick off a new regime or simply looking to feel a touch more zen this season, you’ve come to the right place. Readly is packed full of health and fitness information all set to support you to make the right choices for your mind and body this spring. From nutrition tips, fitness trends and hot fashions to emotional wellbeing and sleep coaching, Readly has it all, in one single app. Your personal trainer, life coach, nutritionist and everything else, in your pocket. Gut-boosting diets - Bad gut health is linked to obesity, inflammation, low energy and low mood so it’s no surprise that gut health should be high on our priority list. Amanda Ursell, Nutritionist recommends restricting or eliminating processed foods in favour of natural, plant-based alternatives. Check out her tips for how to eat for a healthy gut in Healthy Food Guide (January 18). Sleep training - Most of us need around eight hours of good-quality sleep a night to function properly according to The Sleep Council but too many of us are not coming close to this. 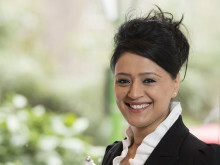 How can we ensure we’re sleeping for optimum physical and mental wellbeing? Dr Rangan Chatterjee shares his sleep-well habits in Top Sante (February 2018). A face for yoga? – Forget downward dog and tree, the next big thing is set to be face yoga! Apparently the secret to younger looking, tighter skin. Read all about it in Women’s Own (Issue 8 2017) and Chat (Issue 1 2018). It’s fun, relaxing and free. Try a face workout yourself at home or on the tube or anywhere you may be! 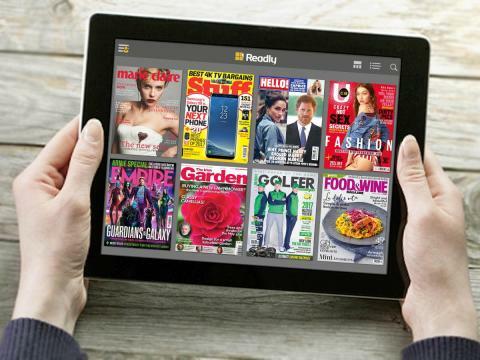 All content can be found in the Readly app via the easy keyword search of over 750 UK magazine titles. Readly costs £7.99 per month.